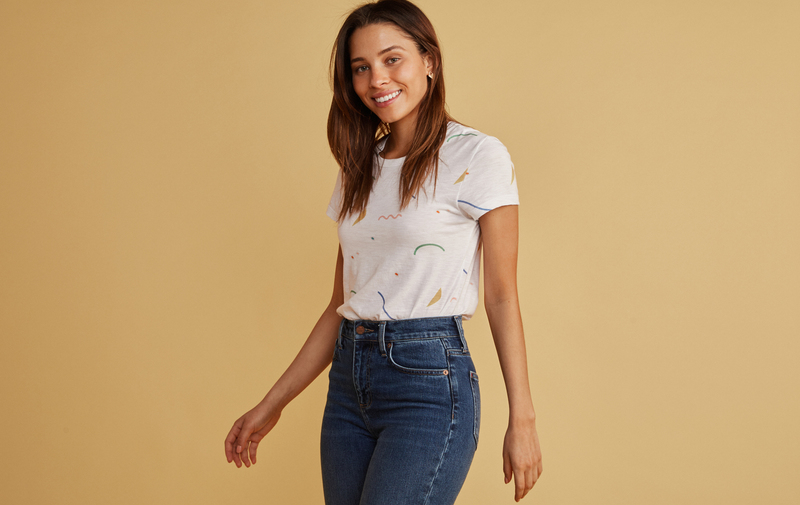 The Classic Crew is as if our Swing Crew and our Ringer Tee had a baby. Minus the swing. 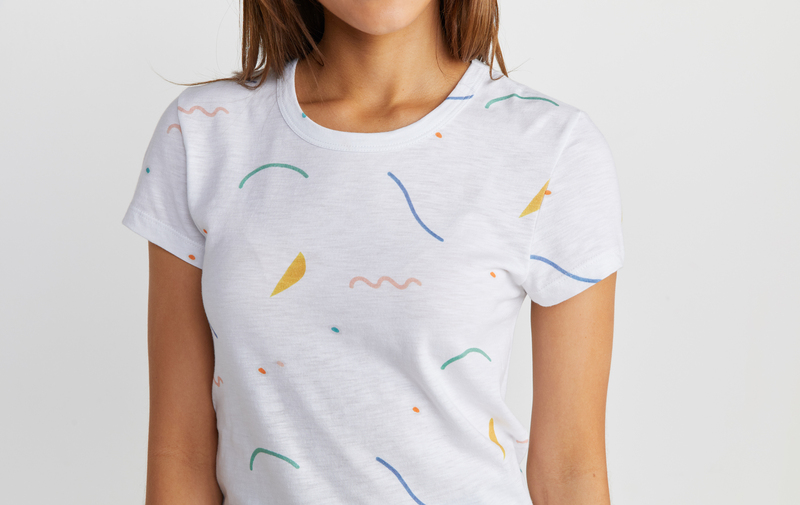 It's the crew of your dreams: now in a custom noodle print. 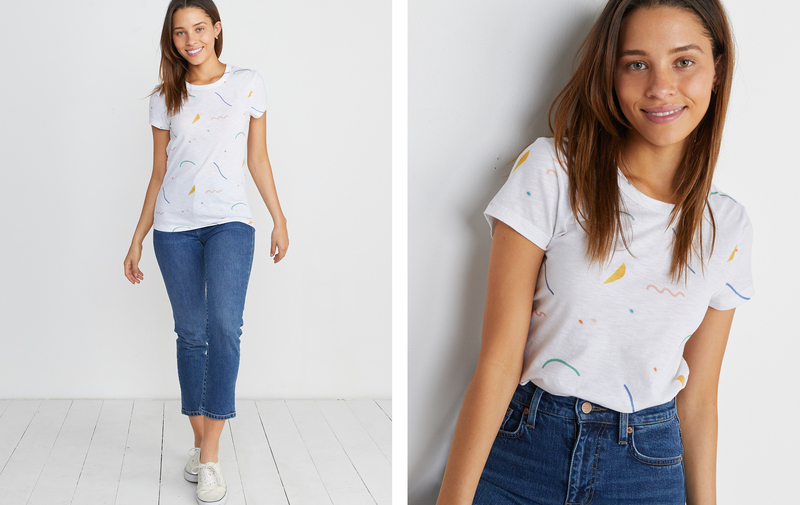 we're calling "Fiesta Print."